Most modern smartphones come with powerful camera features that most of us haven’t given a second thought about. Chances are we probably just fire up the default camera apps on our phones for quick snapshots that we don’t want to miss. But what if you want to get more out of your device’s camera hardware? Fortunately, there are some great third-party options on both Android and iOS that can bring out the best in our smartphone cameras. Camera+ has been available for years now, but it’s still one of the best options out there for native iOS camera replacements. With Camera+, users will find a fast and responsive interface that is fun to use and still manages to pack in a ton of powerful features. You can have separate focus and exposure points, enable Portrait Mode, go into Macro mode, and more. The app comes with some basic photo adjustment tools, a wide variety of filters and scene modes for different landscapes, borders, frames, crops, and the cool Clarity HDR setting. With Clarity, Camera+ makes intelligent adjustments to your image that can reveal hidden details and make your photos pop. There’s also the Lightbox, which is where you review all shots taken in Camera+ and save only the good ones. This also uses iCloud sync, so your Lightbox photos go with you regardless of device. 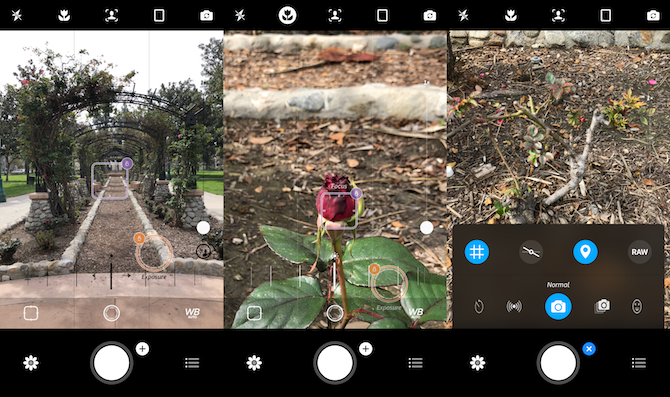 Camera+ may be long in the tooth, but it continues to make impressive improvements each time Apple adds new features to the iPhone’s camera.